CIA chief John Brennan met with Israeli intelligence officials last week over the framework nuclear deal. 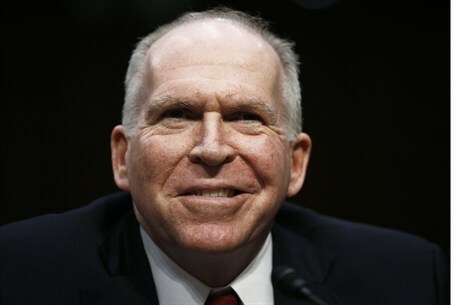 CIA chief John Brennan made a "secret" visit to Israel last week to discuss an emerging nuclear deal between Iran and world powers, Israel's leftist Haaretz newspaper reported on Tuesday. The visit came as a June 30 deadline looms for a deal that would row back Iran's nuclear program in return for relief from sanctions, which Israel has long opposed, causing friction between Jerusalem and the White House. Brennan met his counterpart, Mossad chief Tamir Pardo, and other intelligence officials, as well as Prime Minister Binyamin Netanyahu, Haaretz reported, citing "senior Israeli officials." They discussed the emerging Iran deal and Tehran's "subversive" activities around the Middle East. “It's one of the great things, I think, about our system; there can be policy differences between our governments but the intelligence and security professionals know that we have an obligation to keep our countries safe and secure,” he added. The prime minister's office and the defense ministry declined to comment on the report. The Iran issue was also set to be high on the agenda of a separate visit to Israel by the chairman of the US Joint Chiefs of Staff, General Martin Dempsey. Dempsey, who arrived on Monday, is due to hold talks with Defense Minister Moshe Ya'alon and IDF Chief of Staff Lieutenant General Gadi Eizenkot.